Attention is automatically drawn to stimulus features previously associated with reward, a phenomenon referred to as value-driven attentional capture. To date, value-driven attentional capture has been studied exclusively by manipulating stimulus–reward contingencies in an experimental setting. 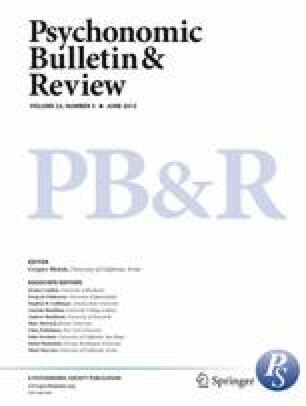 Although practical and intuitively appealing, this approach poses theoretical challenges to understanding the broader impact of reward on attention in everyday life. These challenges arise from the fact that associative learning between a given visual feature and reward is not limited to the context of an experiment, yet such extra-experimental learning is completely ignored in studies of value-driven attention. How is it, then, that experimentally established reward associations even influence attention, seemingly overshadowing any prior learning about particular features and rewards? And how do the effects of this experimental learning persist over long periods of time, in spite of all the intervening experiences outside of the lab that might interfere with the learning? One potential answer to these questions is that value-driven attention is context specific, such that different contexts evoke different value priors that the attention system uses to assign priority. In the present study, I directly tested this hypothesis. The results show that the same stimulus feature either does or does not capture attention, depending on whether it has been rewarded specifically in the context within which it appears. The findings provide insight into how multiple reward structures can efficiently guide attention with minimal interference. This research was supported by NIH Grant Nos. F31-DA033754 and R01-DA013165. The red circle was generally worth more than the green circle regardless of what the background was. The green circle was generally worth more than the red circle regardless of what the background was. The two circles were worth the same overall, but one color was worth more when it appeared on the forest background and the other was worth more when it appeared on the city background. Both color circles were generally worth more when presented on the forest background. Both color circles were generally worth more when presented on the city background. How much money I received was random and unrelated to the background.